My collection Bird Sisters has been quite a long time in the making. I have always written poetry and short stories, but started writing seriously in 2006 when I began a creative writing degree at Norwich School of Art and Design (now Norwich University of the Arts). After I finished the degree I was lucky enough to be accepted onto the Poetry MA at The University of East Anglia – it was an amazing experience – there’s nothing like being able to immerse yourself in poetry and writing for a year and my writing really developed and changed during this time. Mentorship: After graduation I began to think that I might be ready to put together a collection, so I applied for some funding from the Arts Council – in part to pay for a mentor but also to buy me a little writing time. It took me a whole year to put that funding bid together, but I am so glad I did it. I found my mentor (Pascale Petit) through the Poetry School. I had read her online course about putting together a collection and also really admired her work. The Poetry School put us in contact and after Pascale had looked at my work she agreed to take me on. We met up several times over the course of about a year for intense one to one sessions. Pascale told me at our first meeting that she would be hard on me but that my collection would be better for it – and she was right. We changed the order, changed the title, threw out lots of poems and I wrote new (better ones). We edited and re-edited the poems. It was an intense experience but hugely rewarding. Editing: The poems that we took out were the weaker poems – I think that sometimes first collections can be a mixed bag: some really strong poems with some weaker ones (fillers) mixed in. It was these filler type poems that went. Some of them were poems that were similar to others in the collection but not as strong – when writing I sometimes write quite a few poems on the same theme – a kind of exploration I suppose. There is a misconception amongst new writers that they should publish everything they write – but the reality for most people is that for every ten poems you write you might get one or two good ones. I think of those poems as being the equivalent of preliminary sketches in an artist’s sketchbook. 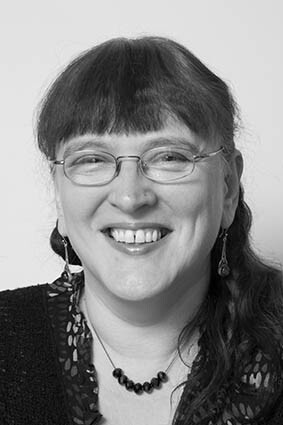 Pascale also took out some that she felt were not doing enough – Esther Morgan once said in a workshop “that by the end of a poem you should have learnt something or something should have changed” – the poems we rejected were ones that were interesting, but there was nothing new or unexpected about them. For instance I had a couple of poems about living in a commune – they are poems that have gone down well at readings – but they don’t offer any new insight on the subject – on the page they are a bit “so what”. The themes: I am interested in the everyday stuff of real life, how people relate to each other especially within families, the stories and myths that families generate about themselves and the mental games that people play. This interest is reflected in the content and themes of the collection. I am fascinated by how family members (especially siblings) can be casually cruel to each other. There is a sequence of prose poems threaded through the collection that explores this – and there is also a sequence of poems at the end of the book that is centered on it too. This final sequence is about the relationship of two sisters – the elder of whom is obsessed with the circus and involves the younger one in her tricks – not always kindly. The circus poems were inspired by a book of paintings and photographs of the American circus that I found in a second hand book shop. Quite a few of the poems in the collection explore the theme of sisterhood in some way. Many of the poems have a surreal twist too – I am interested in the idea of transformation – so people sometimes become animals or birds. This may all sound a bit heavy but there are a few more celebratory poems in the collection and there is quite a bit of humour in the book too – especially in the sequence of prose poems about a religious family with a slightly unhinged dictatorial father. Getting published: When finally I had a collection good enough send out I sent it to Bloodaxe, and then I waited. In the meantime I was sending out poems to journals and entering competitions. I had a quite a few poems published and won, or was placed, in several competitions – this really helps when you send work to publishers as they want to see that there is an audience for your work and that you are prepared to put in some groundwork. Bloodaxe eventually rejected the collection but Neil Astley suggested that it might be a good fit for Jane Commane at Nine Arches Press – and luckily for me she liked it! We did a little more editing, threw out a few more poems and added a couple of new ones – and then, finally, it was ready to go to print. It took ten years from when I began writing seriously to getting the book into print. A lecturer told me early on that it is a mistake to be published too soon and I really believe this to be true. My collection has gone from feeling like a selection of the best poems I had written over several year to being a cohesive fully formed collection that I am proud of, a collection that feels like it works together as whole. Now I just have to hope that people like it! Market residency: During May this year I am writer in residence at Norwich Market. I contacted them last year asking if they might consider having a poet in residence, and they got back to me about six months later and invited me in for a meeting. Unfortunately council’s are hard pressed for money at the moment, so the post is unpaid. However, they have given me my own market stall to use as I see fit. I have kitted the stall out with rugs, a table and chairs, books etc, and have decorated it with bunting and giant flowers so it looks nice and cosy. I am inviting other artists and writers to come and spend an hour or two responding to the lively and colourful market environment. I am also collecting words and phrases from market stall holders and anyone else who wants to participate to make a collaborative piece at the end of the month. I have created a sheet of writing prompts for anyone who is stuck for inspiration and I am hoping that some people will stop by and have a go at writing something. The worksheet also contains foolproof instruction for writing a simple poem. Julia Webb is a graduate of The University of East Anglia's poetry MA. She has had work in various journals and anthologies. In 2011 she won The Poetry Society's Stanza competition and in 2014 she was shortlisted in the Poetry School/Pighog Pamphlet Competition. She is a creative writing teacher and a poetry editor for Lighthouse - a journal for new writing. 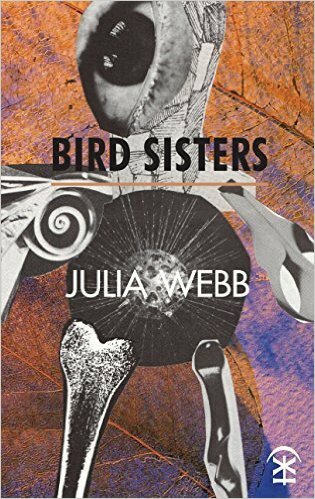 Her first collection: Bird Sisters is published by Nine Arches Press. A really interesting read. Thanks Julia.